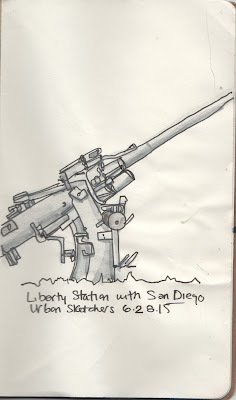 NTC was the location of the San Diego Urban Sketchers Meetup today. 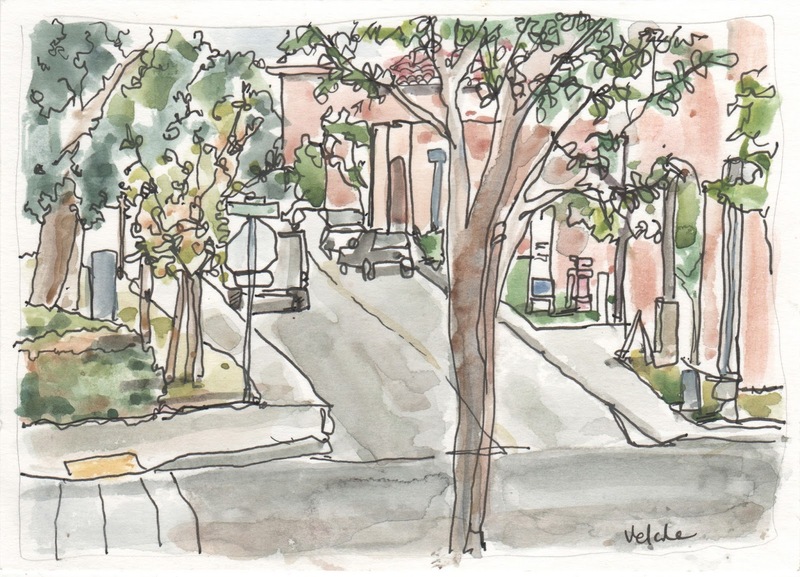 It is a former Naval Training Center located in Point Loma, The renovated Spanish architecture serve as civic, arts and culture district for the San Diego Community. This sketch was created from the park on the corner of Cushing and Dewey. One of the weapons on display at the park.